Here at Strategic Retirement Plans, we have the pleasure to work with wonderful people doing great things at the company and in the community. We believe that building a culture that emphasizes a “people first” attitude will result not only in great personal relationships, but also great business relationships. Ryan Gomendi epitomizes this quality to the letter! After nearly a decade of serving in full time ministry with Faith Chapel in Billings, Ryan came on board with SRP and joined our lead advisory team. While Ryan still has a passion for ministry, he is now using his education in business management and a masters in accounting to help families prepare for their financial futures. In fact, Ryan believes that his role with SRP allows him to continue helping many families steward resources as they plan for retirement and helping guide them through their retirement years as they deal with the ups and downs that come with the later years in life. He does this by providing passionate service and education to his clients as it relates to the 5 core areas of financial planning (estate, tax, insurance, investment, and retirement planning). Ryan spends each day at SRP working with Gabe Lapito as a Lead Financial Advisor. They spend a good deal of their day working with existing clients and pursuing new client opportunities. This may mean sitting down for strategy meetings or possibly helping a client make sure their beneficiaries are in order. Whatever it is, Ryan believes that the conservative approach to wealth management at SRP not only prepares clients for the future, but also helps to develop the personal relationships that are so valuable at SRP. When Ryan isn’t meeting with clients, you’ll find him doing investment research or market analysis. He also spends time each week continuing his CERTIFIED FINANCIAL PLANNER™ practitioner education and helping with the operations of the SRP office. 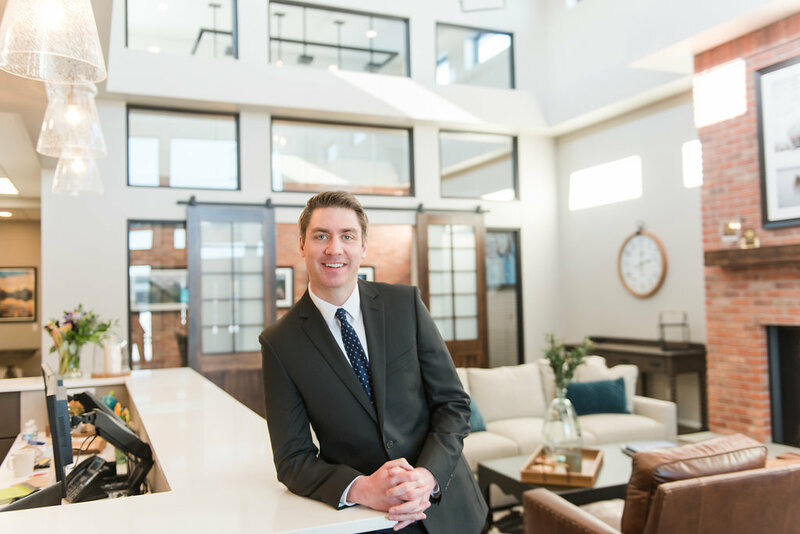 Ryan believes SRP is a special place because of the vision laid out by its leadership that focuses on excellence with investments and financial planning while maintaining a conservative approach. This coupled with the idea that we are stewards of every client dollar sets SRP ahead of the competition. That’s why clients are so relieved to learn that SRP is not like an old stock brokerage that is limited to buying/selling or trades, but rather a partnership that is passionate about helping clients build a portfolio that matches their risk tolerance and serving as a guide through the entire financial planning process. Outside of the office Ryan loves spending time with his family and serving others locally and around the world. He also loves to be outside. Whether it is fishing with his Dad or enjoying a newfound hobby in golf, Ryan is at home in the great outdoors. Thanks for taking a minute to learn more about Ryan Gomendi. We are proud to have people on our team like Ryan and we think you’ll love working with him too! Stop by our new offices on 12 Avanta Way, Billings MT and say hello to Ryan and the rest of the team. We’d love to see you! How will the new tax laws impact your retirement?